← Can you see camo cat? 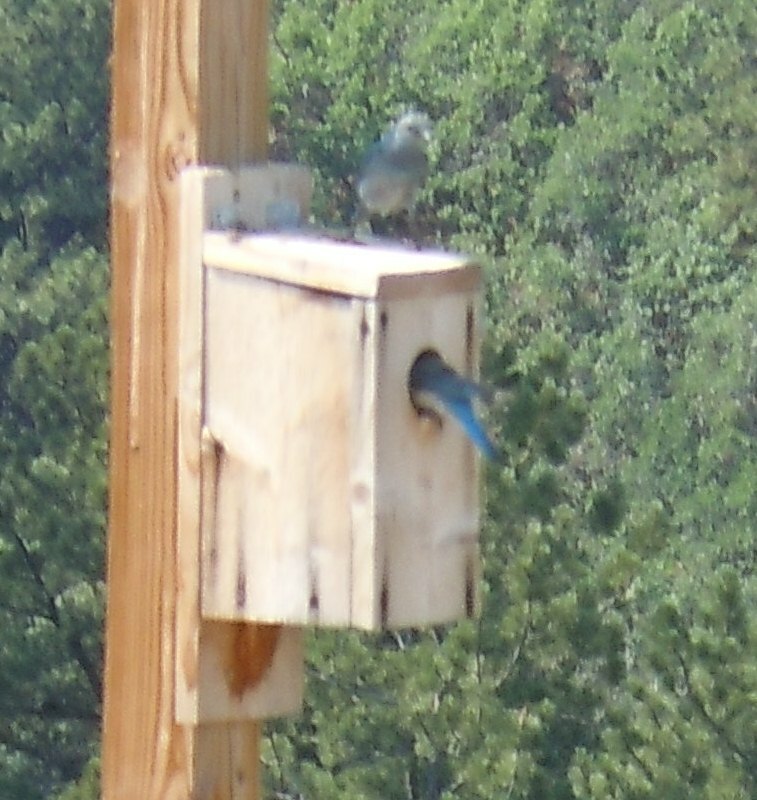 A pair of my favorite birds have nested in the bird house at the end of the driveway! 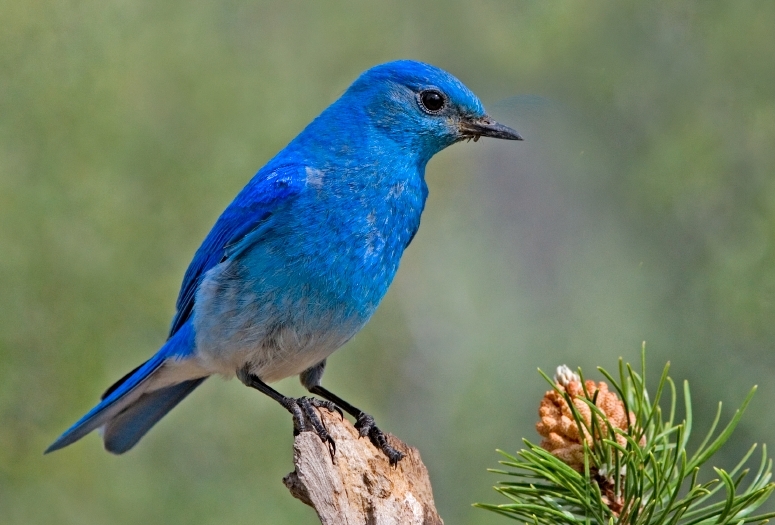 They are mountain bluebirds! Here’s a better picture, from Wikimedia. The male of the species is more colorful (photo by Elaine R. Wilson). I love these little cuties. They are cavity nesters; they nest in holes in trees (when they can’t find nest boxes). They eat bugs and berries, which makes them even more welcome additions to life at the ranch. 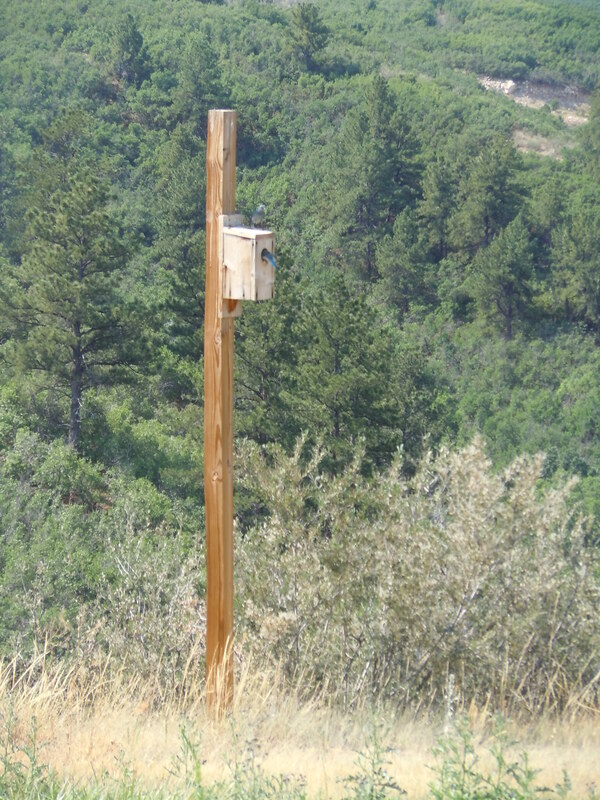 This entry was posted in animals and tagged bird boxes, birds, blue birds, mountain blue birds, nest boxes, nesting, nesting birds, nests. Bookmark the permalink. One of my favorites too – we have them here and they seem to love nesting around the old barn! So bright and blue! I guess they are across the whole rocky mountain west, which is cool. I think of them as little jewels, but they are actually just another thrush.